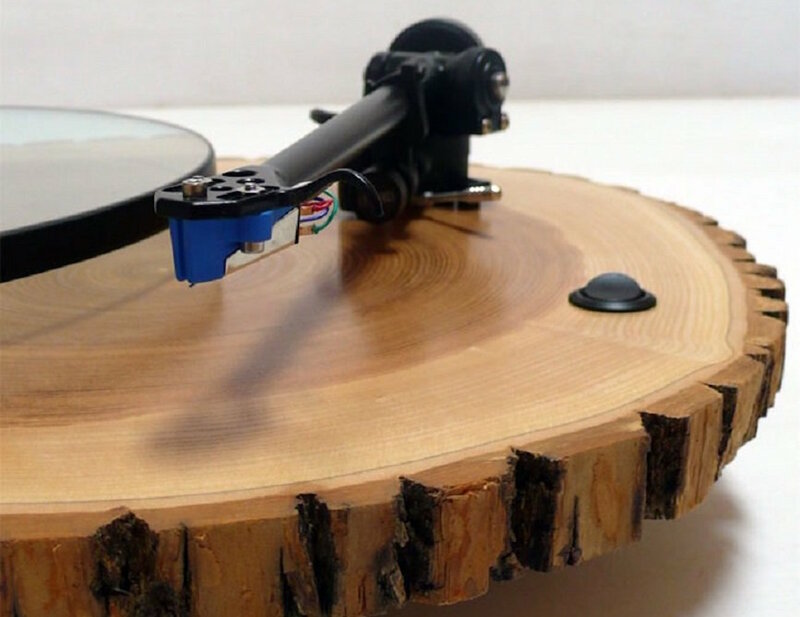 Be inspired as you listen to your vinyl with the Barky Turntable by Audiowood. 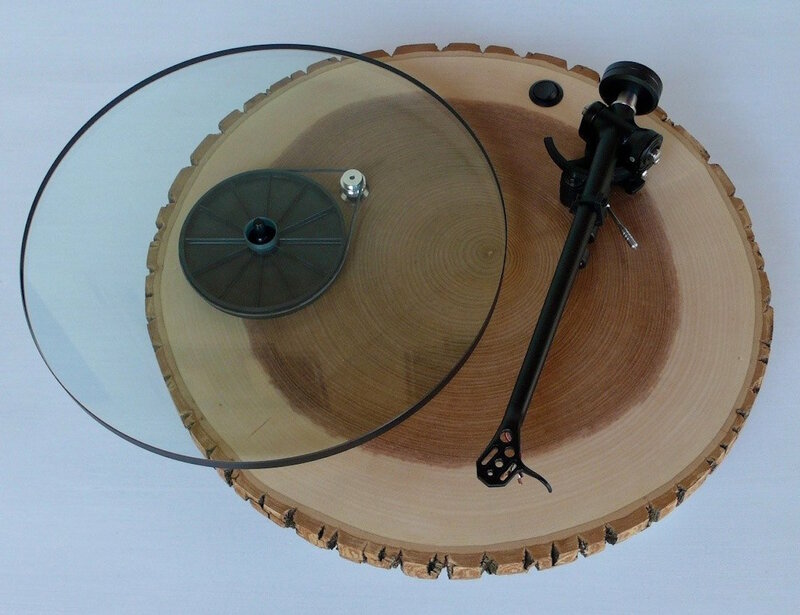 This high precision turntable features a sturdy glass platter for your records while the high-end RB303 tonearm and Rega Alys2 cartridge are held in place on a unique chunk of wood. 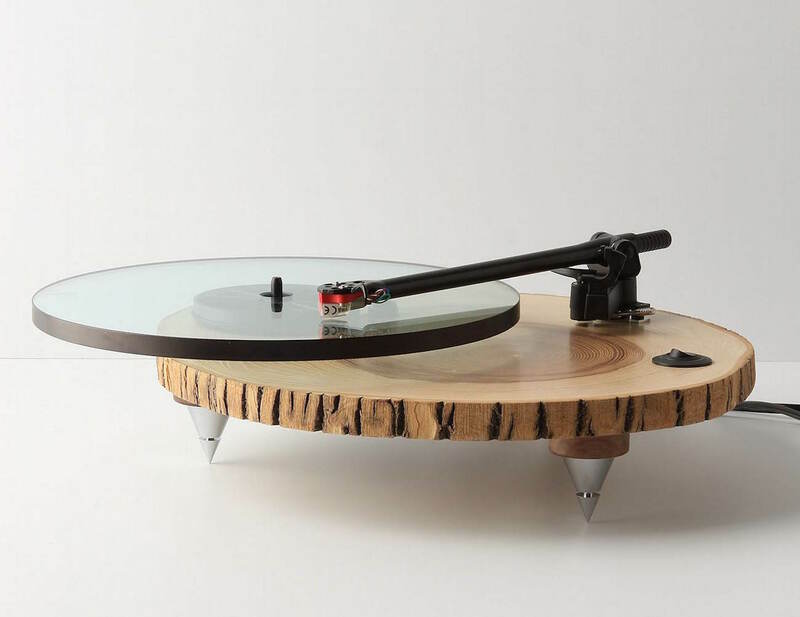 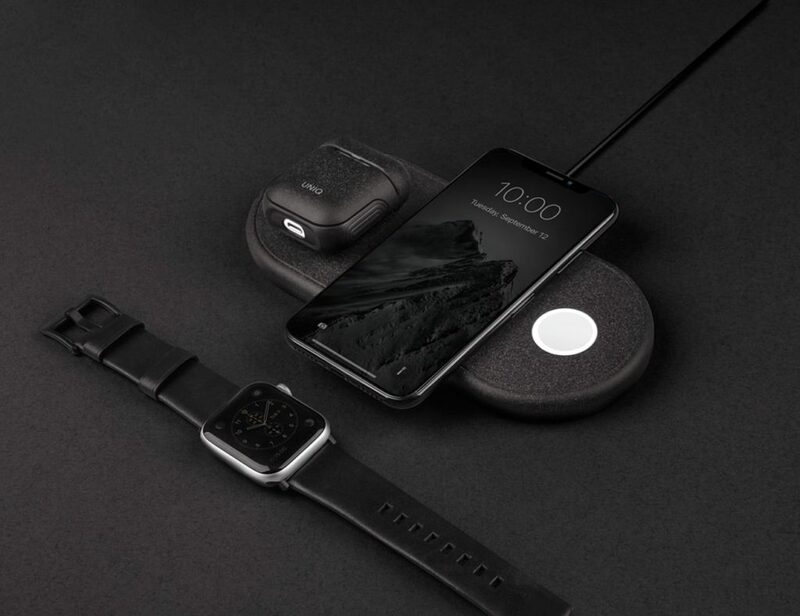 Combining the modern with the natural, the Barky Turntable will certainly turn heads as it spins. 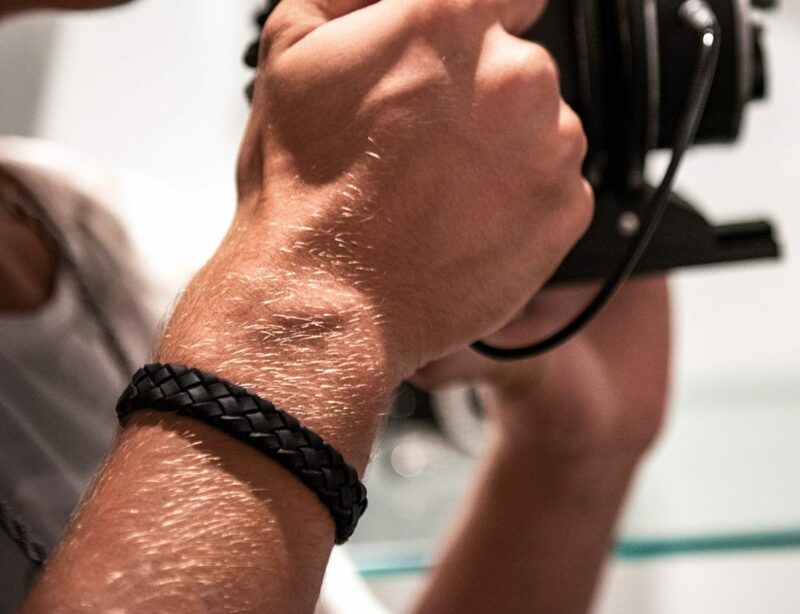 A part of a limited production, the wood slab is cut from an ash tree and features the stunning rings of the tree in addition to the all natural bark around the circumference. 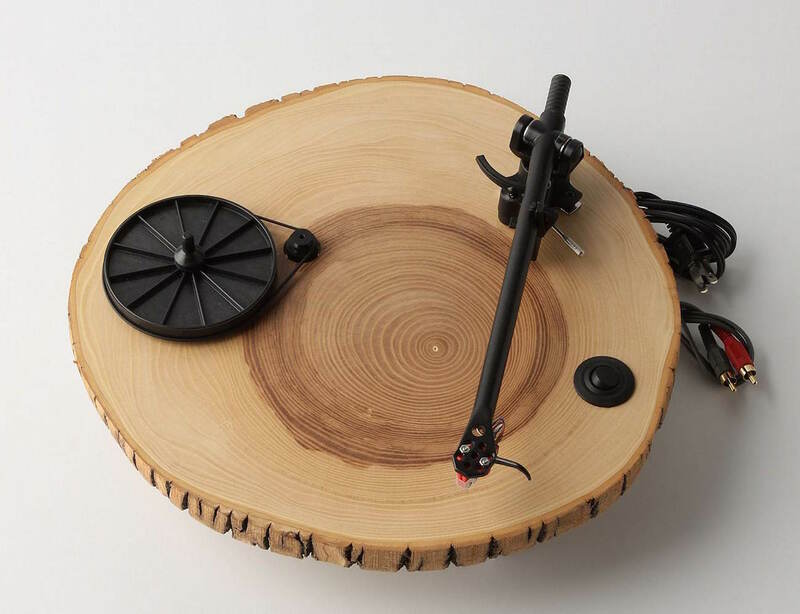 Unlike any other turntable on the market, the Barky Turntable is complete with a 24-volt power supply as well as adjustable solid brass spike legs. 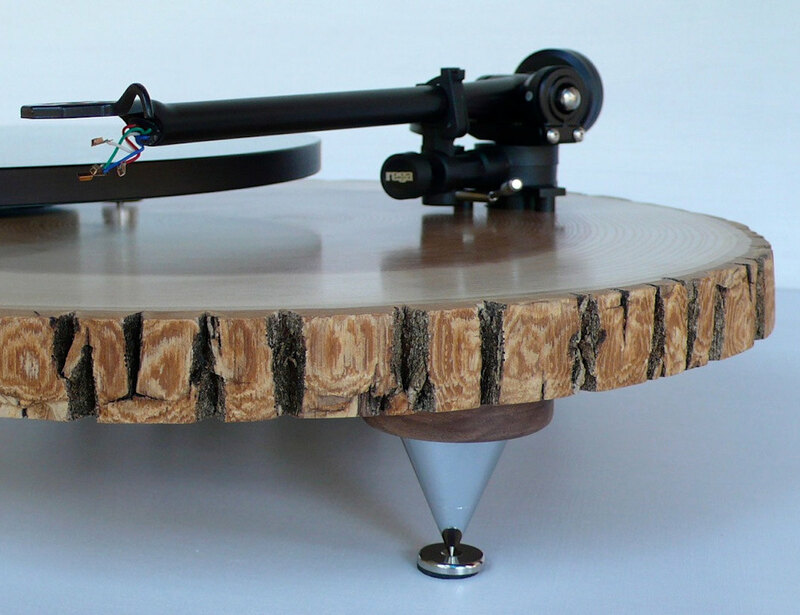 Each Barky Turntable is finished with hand-rubbed polyurethane and paste wax for a long-lasting shine.